21 Questions with… Norma Kamali — "The best style advice I ever got was… 'know thyself.'" From Zara to Jimmy Choo, Here Are 19 of the Hottest Party Shoes for Every Budget — Your new dancing shoes. 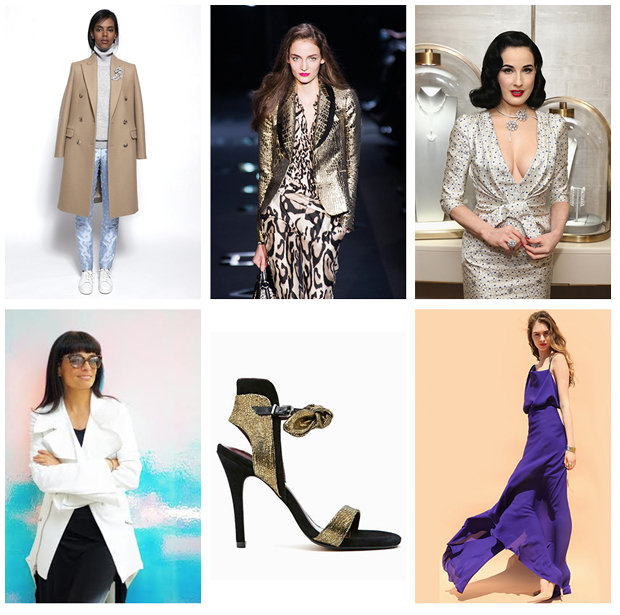 Top 20 Looks from the Pre-Fall 2014 Collections — Crossing our fingers that these looks make their way into the stores. Liquid Assets: Holiday-Ready Metallics to Wear All Winter — Out with the old and in with the gold. The Food Police: Why You Might Want to Rethink Your Views on Organic, Local, GMOs and More — Pollan and Bittman's arguments may be more flawed than you think. Style Showdown: Dita Von Teese and Sarah Paulson Take the Plunge in Carolina Herrera and More Matching Celebs — The downside of wearing designer fashion is that other people can wear it, too. Your Totally Non-Traditional Holiday Playlist — What is it about the holidays that has otherwise cool and discerning music listeners cranking up the Mariah Carey? Alanis Morissette on Men, Marriage and Raising a Humanist — Alanis Morissette talks about men, marriage and raising a humanist. LK Bennett: Give a Girl the Right Shoes and She Can Conquer the World — Marilyn Monroe put it best. Runway to Real Life: Naya Rivera in Michael Kors, Kristen Wiig in Prada and More (Forum Buzz) — Actresses and songstresses stepped out in looks that did and didn’t work when taken off the runway.